Barangay 373, Zone 38, Tambunting, Sta. 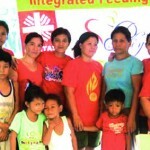 Cruz District is the home of 163 malnourished children who have benefited from the Hapag-Asa Integrated Nutrition Program in Manila. The people in this community lived in densely populated vicinity where circumstances of deficiency are undeniably palpable. Many families experience insufficiency of nutritional food, clean water, habitable shelter, and medical and health care services. As a result, high percentage of children suffers from malnutrition. 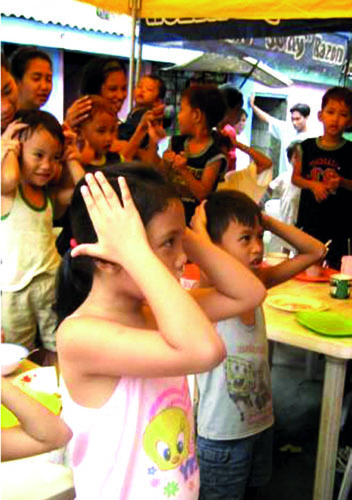 As a response, the Hapag-Asa Integrated Nutrition Program in partnership with Caritas Manila and San Roque de Manila Parish was sealed to address the alarming situation of malnutrition. Volunteers from the community extended their full support to the program by giving their time, particularly, on food preparation using nutrient-enriched food VitaMeal. Malnourished children are fed 5x a week for 6 months. At the end of each month, the children are weighed to measure the improvement in their nutritional status. It is very inspiring to note that many if not most of the children under this program have dramatically improved in their health condition. These improvement can be measured through body weight, physical appearances and mental alertness. Renz, 2-year old and Shiela, 5- year old, are children of Leo and Merlyn Manigpit. A low income family with the father working as a tricycle driver and the wife as a plain housewife. 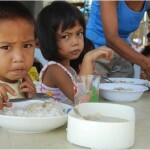 Due to poverty and lack of proper food intake, Renz and Shiela became severely malnourished. With the introduction of Hapag-Asa Program in their community, Renz and Shiela were provided with regular food every day for a period of 6-months. In just 5 weeks, both kids have gained more weight and became more active. Moreover, they started to be more sociable and friendly with other kids. 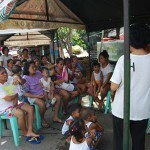 The Hapag-Asa Program did not only benefit the kids but also the whole family. 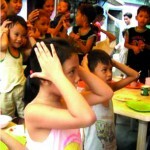 In the case of the Cansino Family, five (5) among six (6) children are undernourished. The family lives in the crowded place of Sta. Cruz in a house made of used-plywood and plastic scraps. They used to live happily with all the necessary things provided to their children until tragedy struck them. Mrs. Mary Jane Cansino became a single parent after his husband died from lung complication. The death of the breadwinner brought hardship to the family especially so for 3 of her children who are attending school. Mrs. Cansino had to fend for the family and singlehandedly had to bring up her children with her income from being a dishwasher in one of the food stores in Blumentritt in the afternoon and as a ‘labandera’ in the morning. She was forced to fulfill the role of both father and mother to her children, raising them and hoping and dreaming for them a brighter future despite the hardship they were experiencing. 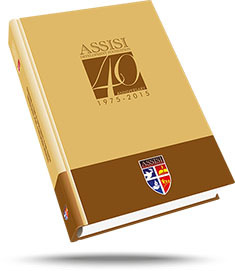 The Hapag-asa brought a ray of hope in the Cansino family. The hopeless mother has turned optimistic after attending the series of parent’s classes included in theHapag-asa; Mrs. Cansino is now one of the active volunteers in the program. She brings her five (5) children regularly to the feeding site. Her efforts bore fruits after 5 months of feeding; Mrs. Cansino observed progress in her kids physically, mentally and spiritually. Her 3 elementary children are now more motivated in attending classes with no records of absences. The result is higher grades that they now belong to the top ranking pupils. Mrs. Cansino has only words of thanks and gratitude to Hapag-Asa. She said, “Maraming salamat sa feeding na ito natulungan ang mga anak ko ang pamilya ko”.